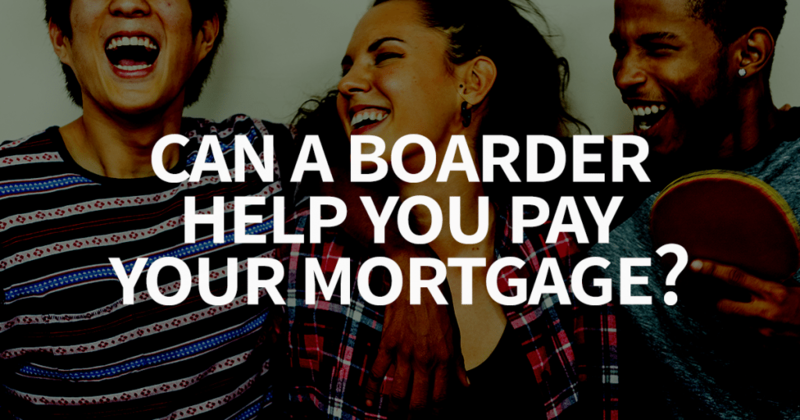 Taking on a boarder could be a viable way to help you pay your mortgage, but it won’t all be beer and skittles! If you’re going to take in a boarder, there are some very important implications to consider first, as we explain in this article. Many lenders don’t take rent from roommates into account when assessing whether you can afford a home loan. The money received from your boarder will generally be considered assessable income by the Australian Taxation Office (ATO), and you must declare it on your tax return. You may be able to claim deductions for expenses associated with renting out part of your home, such as interest on your mortgage. However, if you rent to a relative at a discounted or less than market rate, it can affect what you can claim. In some instances, payments from a family member for board or lodging may be considered a domestic arrangement and not rental income, so you may not be able to claim tax deductions. You won’t have to pay Goods and Services Tax (GST) on the rent you charge, nor will you be able to claim GST credits. However, when it comes time to sell, you may not be entitled to the full main residence exemption from Capital Gains Tax (CGT) – generally you don’t pay this when you sell the home you live in. You can find more details via the ATO website, however, it’s wise to speak to your accountant about the financial implications before proceeding. It’s also important to familiarise yourself with your rights and responsibilities, and those of your boarder. Contact your local tenancy authority for advice. You’ll also need to follow the rules about lodging the bond with the residential tenancy authority in your state or territory. Having a solid contract or tenancy agreement in place will help protect you, should things go wrong. The agreement should stipulate exactly what’s included (e.g. furniture and parking), when and how rent is due, details about notice required and room inspections, and bill arrangements. Also, consider your insurance needs. We partner with some of Australia’s leading insurance providers, so please ask us for help. Lastly, before they move in, fill out a condition report and take photographic evidence. Becoming a live-in landlord can help you pay off your mortgage and cover living expenses, whilst also allowing you to claim tax deductions in some instances. However, there are important implications to consider, which is why it’s so important to consult your accountant or financial planner first. If you’d like to know more about your finance options for purchasing your home, please speak to us. We can help you find a home loan that suits your specific financial needs and goals – and perhaps make it affordable without Cousin Jimmy’s contributions!This article provides general information and has been prepared without taking into account your objectives, financial situation or needs. We recommend that you consider whether it is appropriate for your circumstances. Your full financial situation will need to be reviewed prior to acceptance of any offer or loan product. It does not constitute legal, tax or financial advice and you should always seek professional advice in relation to your individual circumstances. All loan applications are subject to lenders’ terms and conditions, and eligibility criteria. Lender fees and charges will apply.